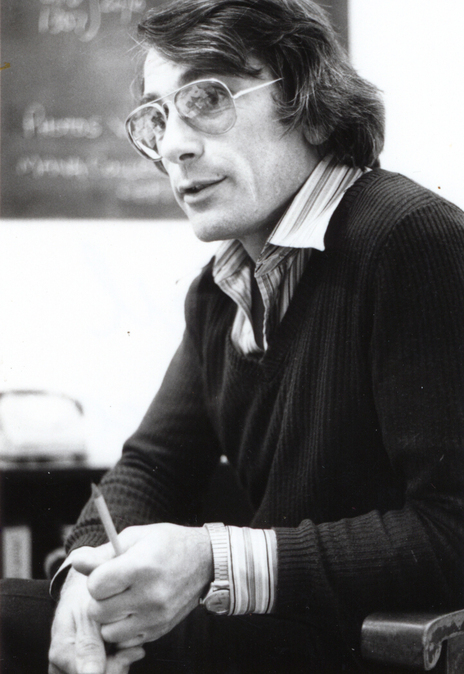 Ode Records was launched in 1968 by Terence O’Neill-Joyce, originally in partnership with Mark Dalley. At the time O’Neill-Joyce was the branch manager of Festival Records in Wellington. The first release was a single written and recorded by Dalley as Abdullah’s Regime, titled ‘Sally I Do’. A couple of singles from a band known as both The Dizzy Limit and Dizzy Limits followed before that band changed their name once more to offer up the label’s first big pop success ‘Come To The Sabbat’ by Timberjack in 1971. It was a finalist in that year’s Loxene Golden Disc Awards and a Top 10 single. However, the next year O’Neill-Joyce famously attacked these awards for skewering the local music scene, in what can now be seen as an early pre-emptive strike at NZ radio’s refusal to play NZ music, something O’Neill-Joyce was rightly passionate about over the next decades. 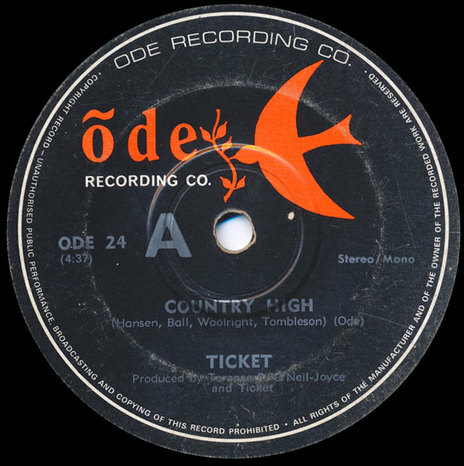 The label's next single of note was Ticket’s classic ‘Country High’ in 1971. The progressive Christchurch based band had been signed after they were recommended by Del Richards, manager of Christchurch’s HMV record shop. The single was both a commercial and critical hit and was taken from the sessions, recorded in Wellington under the eye of HMV's Frank Douglas, for the album Awake, although by the time that was issued in 1972, Ode had sold the masters to the band's managers, Robert Raymond and Barry Coburn who released it on their own Down Under label. In 1972 Ode released the first single by a young Sharon O’Neill, ‘Love Song’ (the Elton John & Bernie Taupin song), produced by Terence O'Neill-Joyce, five years before her successes with CBS. In 1975, Ode moved north to Auckland, to an office and warehouse in the back of the La Gonda Arcade in Karangahape Road, where it remained for many years. Never less than diverse, Ode recorded hundreds of albums in almost every genre possible including brass, classical, sports and spoken word, and sold countless thousands of Polynesian albums recorded by O’Neill-Joyce on regular trips to the islands. These sold in both New Zealand and in their home territories, making stars of several of the acts. Ode also had a strong Māori catalogue and in 1972 Terence O'Neill-Joyce signed their most successful act, the larger than life Prince Tui Teka, from The Maori Volcanics. The cover of Roy Clark's country standard, 'For The Life Of Me', released as the singer's debut single, has since become an enduring New Zealand middle of the road chestnut that is far more strongly identified in New Zealand with Tui Teka than with Clark. The Prince’s self-titled debut album, from 1974, remains one of Ode’s biggest sellers, matched by two other studio albums he recorded for the label over the decade including the classic The Maori Album issued in 1976, a record that has been in print ever since. Ode would also issue a live album for the Prince but it was poorly recorded (in Fiji) and disappeared in the 1980s, never to return. Ode was also notable for the large number of New Zealand jazz albums it recorded and was home to many of the ‘name’ Jazz players over the years, with releases by Golden Horn Big Band, Mike Nock, Frank Gibson Jr and his bands, and Rodger Fox, Murray McNabb, amongst others. Ode provided a welcome outlet for these acts that meant that many albums that might never have otherwise found release, did so – and often sold very well. The 1975 eponymous album by The Quincy Conserve, produced by Terence O'Neill-Joyce as is much of the catalogue, is regarded as a jazz-funk classic and is very collectable. Ode also handled US labels like Vanguard and had a deal with the giant CBS to distribute catalogue they were not releasing locally via their own company, thus adding much US jazz, classical and classic blues (Robert Johnson was via Ode) to the company's range. In the 1980s Ode released or arranged pressings for a number of local punk and post-punk records and small labels, not the least being the Ripper Records original AK79 pressings (it was reissued via CBS shortly thereafter) and the first records by Russell Crowe (as Russ le Roq) including ‘I Just Want To Be Like Marlon Brando’ in 1982. In the early 1990s, the US Ode label (Carole King, Rocky Horror Picture Show), owned by Lou Adler, threatened legal action and the label was renamed to Manu, with the company remaining Ode Records Ltd.
Ode Records was sold to BMG in 1996 and then repurchased – at a much lower price than BMG had paid for it – by O’Neill-Joyce in 2001, whilst Terence O'Neill-Joyce was also active in the recording industry throughout the decade and into the 21st Century as chair of the Recording Industry of New Zealand. In 2007 Roger Marbeck purchased Ode, after selling the famous Auckland Marbecks store. Although Terence O’Neill-Joyce retained the rights to much of the Ode catalogue, Marbeck continues to run Ode as an inventive, intriguing record label and distributor. Decades after it began Ode is still a pivotal player in the NZ indie scene. In 2013 Marbeck bought back his family’s Queen’s Arcade record store.